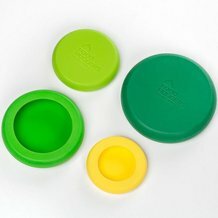 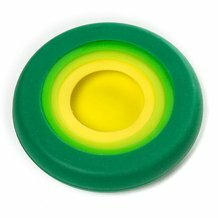 Flexible silicone "huggers" form a tight seal around food and containers to keep contents fresh. 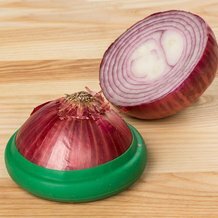 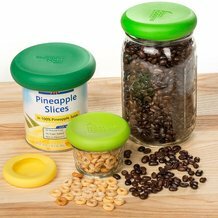 Fit snugly on cut portions of fruits and vegetables, on the tops of regular- and wide-mouth canning jars, even on opened tin cans. 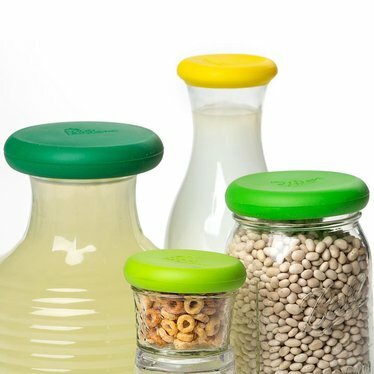 Give leftovers a fresh "hug" with these multipurpose lids.